Learn to go beyond the usual brand switching type of promo orientation, master Market-Driving Strategies (MDS), which according to Dr. Philip Kotler, is the 4th major type of market orientation. Stand out in the market place by competing on brand relevance instead of brand preference, think gaining market penetration not just market shares without market growth. Attend this paradigm-busting course to grow beyond your present source of revenue and profit. Apply MDS process, principles, tools and framework with a generous amount of local and international cases to attract new demand from 9 unserved and underserved markets in your industry. 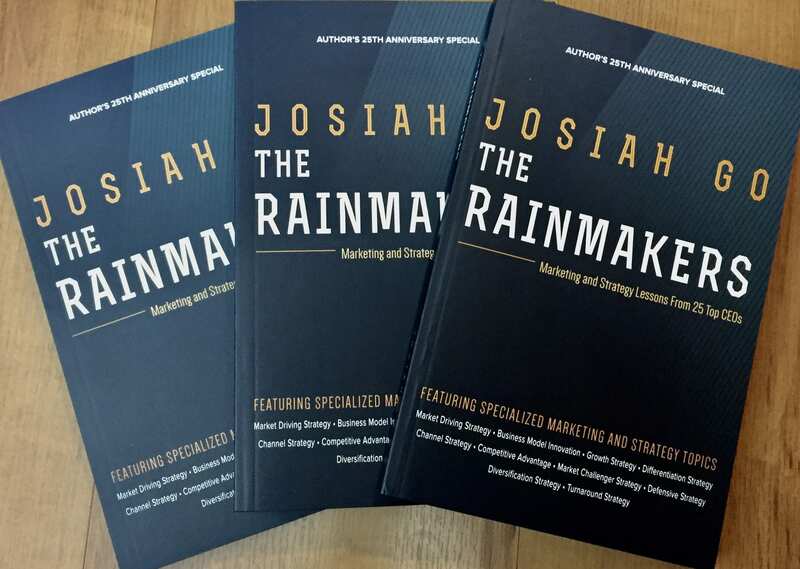 · Discover the process, principles, tools and framework of Market-Driving Strategy that can help your brand or business experience real and sustainable growth. MARKET-DRIVING STRATEGY (MDS) helps companies redefine brand relevance instead of continuing costly brand preference. It combines 3 important ingredients needed toward a sustainable future: Marketing + Innovation + Strategy Planning MDS brings strategic thinking back to marketing. Participants shall work in small groups and apply the 7-step MDS process. · What is Market-Driving Strategy? · Where are you in the 4 types of market orientation? Ideally, the entire management team composed of CEO, managing director, head and key managers of functional groups (marketing, sales, trade marketing, R&D, finance, strategic planning, operation, HRD) who want to challenge industry norms and break the rules. Leaders of change in dynamic companies. Entrepreneurs needing a mindset change. Anyone who has influence in the future direction of their organization.